First, sorry for not posting for a while. I guess I've just enjoyed playing the records too much, huh? Oh, what to say about this album.. This is perhaps one of my favorite albums that I own. It has a lot of the stuff I seek for in jazz. The personnel are a superb bunch: Kenny Dorham (trumpet), Curtis Fuller (trombone), Frank Haynes (tenor), Tommy Flanagan (piano), Ben Tucker (bass) and Dave Bailey (drums). There are a nice mix of tunes to be enjoyed here. Two of them are piano trio stuff, "Like Someone In Love" and "Just Friends", where Tommy Flanagan is in the center of attention, and how lovely that is. Makes me want to aquire the Overseas album on Prestige also. The other tunes are truly great, the first track is a superb version of Sonny Rollins' "Grand Street", which makes you dig along immediately. Kenny Dorham's "An Oscar For Oscar" is an up-tempo piece which delivers some nice blowing by the cats with the horns. The same goes for "Osmosis". When I listen to the opening solo statement by Dorham on that tune, I realize exactly why I hold him in such high regard. That puffy tone is brilliant. I dig his style a lot. Frank Haynes, which I haven't explored a lot up to this point, really blows some good stuff on this tune as well. Curtis Fuller doesn't disappoint either and makes the trombone feel like quite a nice, interesting instrument. 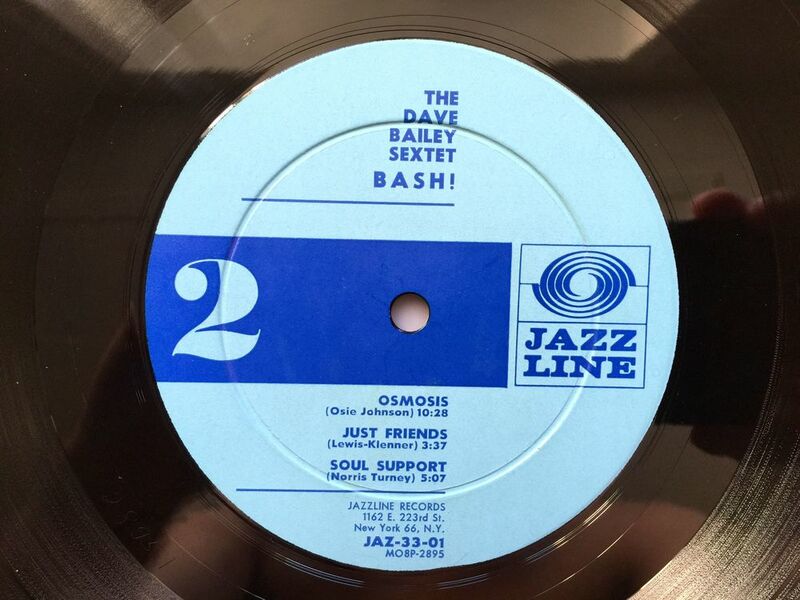 The closing track is the bluesy "Soul Support", which is also a joy, with some good, quality work by all. How about the leader of this splendid session? Well, I like his drumming for sure. I've digged him ever since I saw him in a YouTube video together with the Gerry Mulligan Quartet performing a tune live on a TV-show from 1958 I believe. I need to check out more of his work. This is an album which musical contents I came across not too long ago actually. I was impressed straight away and almost aquired it from eBay, but lost out on that copy. Then I got an opportunity to aquire a great copy elsewhere and I didn't hesitate for one second. This album was a must-have. So I luckily got it now, and I must say, if you haven't checked this one out yet, give it a shot. You will dig it, I'm quite confident of that. My copy is of course a 1st mono pressing, but it can also be found in stereo. It's quite rare, but is worth the effort and pennies to try and get. Does anybody else have something they like to say about this album, please, write away! Stay tuned for more nice, rare pieces from the collection.